Oh my, this meatloaf is GOOD! So juicy and so flavourful, each mouthful is a taste sensation, so much so that no gravy or side of ketchup is required, none! The recipe comes from Marc Matsumoto’s fabulous blog, No Recipes. Marc is wary of calling anything “The Best” but in this instance he feels it’s justified and believe me, calling this the best meatloaf ever is indeed, justified. Try this and you’ll throw away all your other meatloaf recipes. Preheat the oven to 180C. In a small skillet heat the olive oil over medium heat and fry the onions until golden brown. Set aside and allow to cool for 10 minutes. 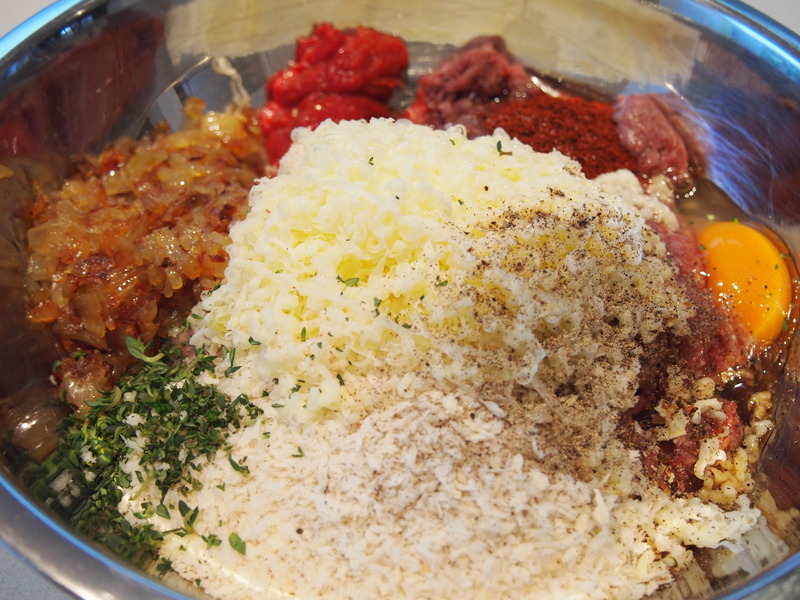 In a large bowl add the minced beef, minced pork, garlic, panko, cheese, egg, milk, tomato paste, Worcestershire sauce, honey, soy sauce, smoked paprika, salt, pepper , thyme and cooled onions. Using your hands (wear disposable gloves if you wish) knead the mixture until uniform. Line a baking tray with some parchment paper. This makes cleanup much easier and it prevents the meatloaf from sticking to your pan. Shape the meat mixture into a loaf on the parchment paper. Top with the bacon, slightly overlapping each slice. Bake the meatloaf for 30 minutes. While the meatloaf is in the oven, make the glaze by mixing the ketchup, honey, Worcestershire sauce, and mustard in a small bowl to combine. Remove the meatloaf from the oven and cover with the glaze. Return the meatloaf to the oven and bake for another 30 minutes. Remove the meatloaf from the oven and allow it to rest for about 10 minutes before cutting into it. Made this for dinner a couple of nights ago. I left off the bacon as I was afraid it would be too greasy (and a higher fat content in the meal). 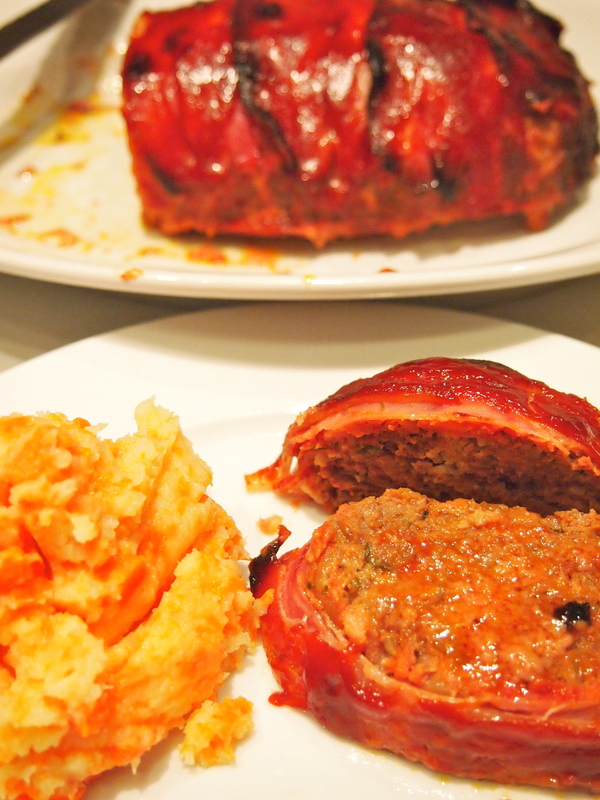 Loved the many ingredients in the meatloaf and the combined flavor. The sauce was the “icing on the cake”. Hi Cindy, I’m so glad you enjoyed the meatloaf, it really is packed full of flavour. I think the bacon in the States tends to be slightly fattier and is what we call streaky bacon, which is why it crisps up so nicely. 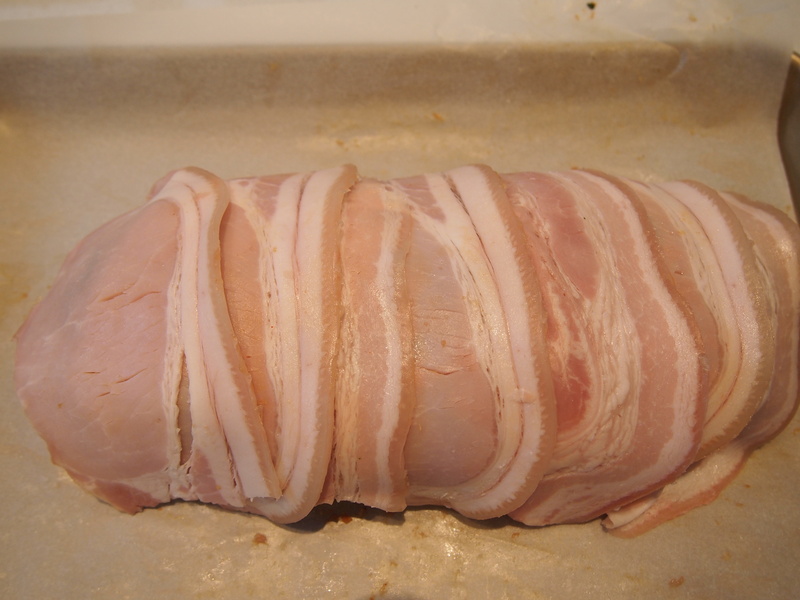 The kind that I used is what we call back bacon which doesn’t have as much fat and is also cut much thicker. 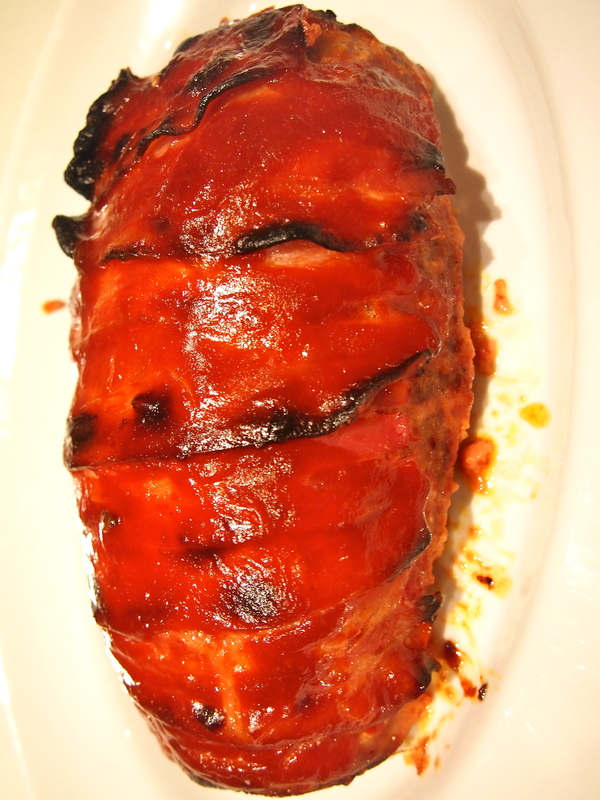 If you come across any try it with the bacon next time as it enhances the flavour even more. Did this one for the kids (2, 5 & 7), all destroyed it. Bacon kept it really moist and the glaze was sensational.